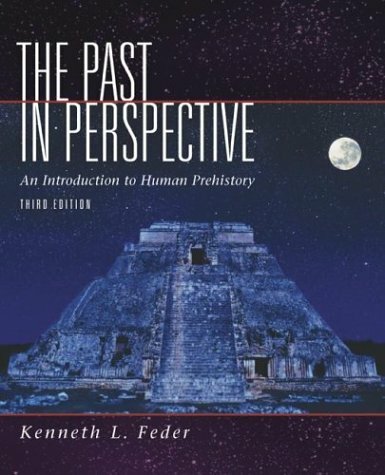 co-author of several books including:Human Antiquity: An Introduction to Physical Anthropology and Archaeology(with Michael Park; now in its fifth edition; McGraw-Hill);Frauds, Myths, and Mysteries: Science and Pseudoscience in Archaeology(about to appear in its seventh edition; McGraw-Hill);The Past In Perspective: An Introduction to Human Prehistory(about to appear in its fifth edition; Oxford University Press); andLinking to the Past: A Brief Introduction to Archaeology(now in its second edition; Oxford University Press). Finally, he is the author ofA Village of Outcasts: Historical Archaeology and Documentary Research at the Lighthouse Site(Mayfield Publishing). When he's not digging in the dirt or writing books, he likes to hang out with his one wife, two kids, and four very bad cats. What Were the First Steps in Hominid Evolution? What Caused the Proliferation of Hominid Species? How Do We Know the Hominids Were Upright? What Do We Know About the Early Hominid Brain? Were the Early Hominids Hunters? Did Neandertals Worship Cave Bears? Did Neandertals Produce Art and Make Music? Were Neandertal Babies Less Atricial Than Modern Babies? How Can Modern Human Genetics Inform Us about the Ancient Origins of Humanity? Which Evidence Is Better: Genes or Bones? Why Is There No Correlation Between Anatomical and Behavioral Modernity? Does the Paleolithic Have a Gender? Who Were the First Americans and When Did They Get Here? Who Is Kennewick Man and What Does He Have to Do with the Settling of the Americas? What--or Who--Killed the American Megafauna? Was the Mesolithic Only a "Prelude"? Was Agriculture the "Worst Mistake in the History of the Human Race"? Is Complexity Restricted to Food Producers?